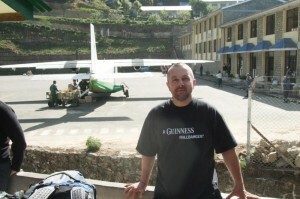 Many of you will know that I returned safe and sound from my Trek to Everest, having lost around 1 stone in weight. It was an awesome experience, the scenery at times was unique and breathtaking. Truly a once in a life time experience. It has taken the best part of two weeks but I think the infamous “Delhi Belly” has finally settled down and I will be getting back into training and walking this weekend to keep this lost weight at bay and hopefully build on this. Thanks once again to everyone who sponsored me and to those who gave me words of encouragement.